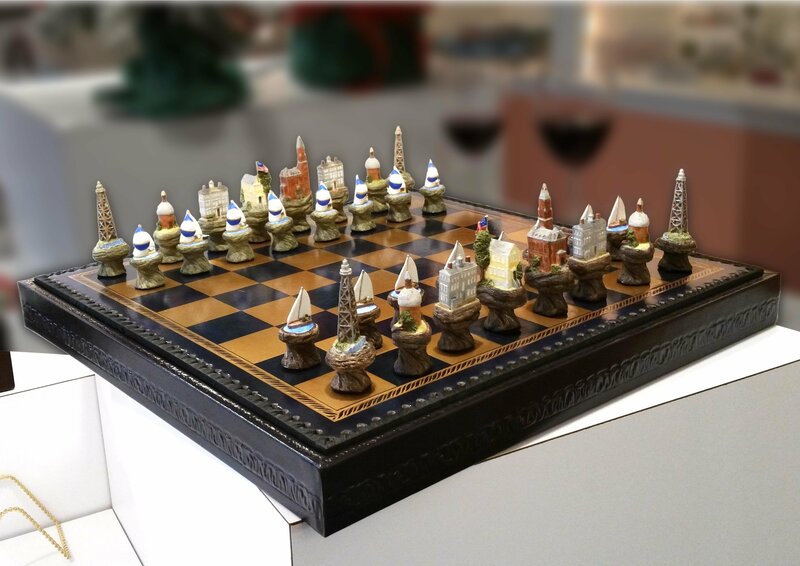 Our Marblehead themed chess set stars Abbot Hall in the leading role of king and the Old Town House as the queen with other well known landmarks as supporting players and 420 sailboats as pawns. It would make an exciting gift for your Marblehead loving chess player! Each chess piece is individually hand-cast and painted in our Marblehead Studio. The chess board base has slots in it to store the pieces and is imported from Italy. The board reverses for backgammon.